In computing, Online Analytical Processing, or OLAP is an approach to answering multi-dimensional analytical (MDA) queries swiftly. OLAP is part of the broader category of business intelligence, which also encompasses relational database, report writing and Data Mining. Typical applications of OLAP include business reporting for sales, marketing, management reporting, business process management (BPM), budgeting and forecasting, financial reporting and similar areas, with new applications coming up, such as agriculture. OLAP tools enable users to analyze multidimensional data interactively from multiple perspectives. 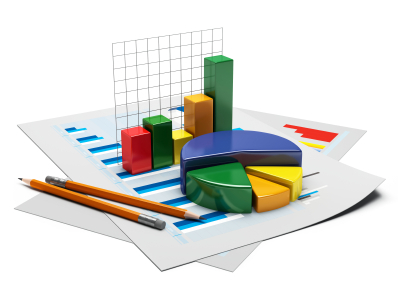 OLAP consists of three basic analytical operations: consolidation (roll-up), drill-down, and slicing and dicing. Consolidation involves the aggregation of data that can be accumulated and computed in one or more dimensions. For example, all sales offices are rolled up to the sales department or sales division to anticipate sales trends. By contrast, the drill-down is a technique that allows users to navigate through the details. For instance, users can view the sales by individual products that make up a region’s sales. Slicing and dicing is a feature whereby users can take out (slicing) a specific set of data of the OLAP cube and view (dicing) the slices from different viewpoints. Databases configured for OLAP use a multidimensional data model, allowing for complex analytical and ad hoc queries with a rapid execution time. They borrow aspects of navigational databases, hierarchical databases and relational databases.